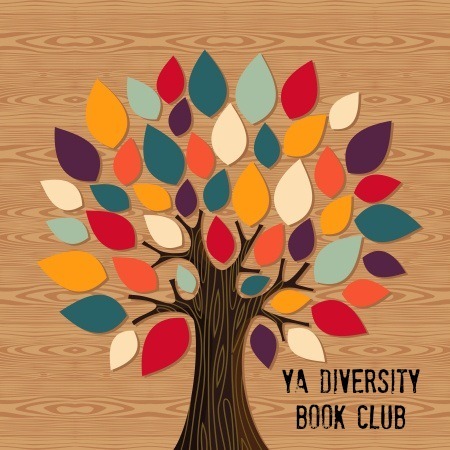 A couple months ago, Sandie from Teen Lit Rocks approached us about joining her and a few other friends for a diversity-focused YA book club. We had all loved and supported the #WeNeedDiverseBooks campaign, and we wanted to keep that momentum going in a meaningful way. 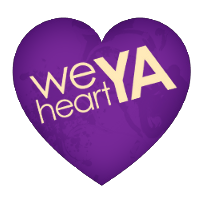 So, every month we are going to select a different YA book that highlights diversity (of race, religion, sexuality, ability, or what-have-you) and discuss it on our blogs. 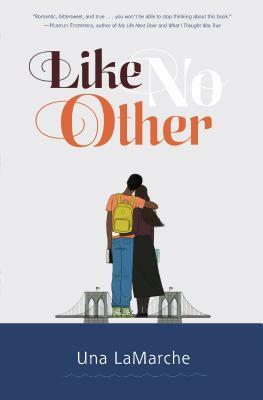 LIKE NO OTHER is a high-stakes romance in the tradition of Romeo & Juliet (or, let’s be honest: given my pop culture education, Say Anything) in which a Hasidic girl meets a black boy in an elevator, and even though her religion forbids connection with the outside world, they spark. Drama and stomach-flipping infatuation ensue—possibly not in that order. 2. What was your inspiration for writing LIKE NO OTHER? I grew up in Brooklyn and have lived near Crown Heights, where the Chabad Lubavitch movement is based, for many years. I knew I wanted to write a star-crossed romance for my second novel, but for a while I wasn’t sure what, in New York City in 2014, could possibly qualify. Then it hit me: I’d been living side by side, but worlds apart, from Hasidic communities for my entire life. That world was exactly the kind of insular community I needed to make the story plausible. I did a lot of research for the character of Devorah, because even though I knew I would have to use some creative license, it was very important to me that I didn’t paint the Hasidic world with too broad a brush. I was up front with potential sources that my main character would be questioning her faith throughout the book, so no one currently active in the Chabad movement felt comfortable opening up to me (which I completely understand). Through an organization called Footsteps, which helps women leaving ultra-orthodox communities get on their feet, I was able to connect with a number of women from different Hasidic backgrounds who gave me invaluable insight into what daily life would be like for Devorah, and how she and her family might react to different plot points. I did much less research for Jaxon. Even though he is black, and male, neither of which I can claim, first and foremost he’s a modern Brooklyn teenager, and more of a relatable avatar for the readers in terms of his daily life. I made a conscious choice not to make his world seem too foreign. I always knew Devorah would be Hasidic, but I wasn’t sure about Jaxon’s race or ethnic background until I was developing the outline. My first instinct was actually to make him more of a hipster, part of the gentrification of Crown Heights, but then I thought, why shy away? It’s so much more A) realistic and B) interesting to make him black. The Crown Heights Riots of 1991, which caused a huge rift between the black and Hasidic communities for a long time, also provided historically accurate reasoning for the “old, bad blood” that makes it difficult for Jaxon’s parents to support his relationship with Devorah. As I mentioned, I grew up one neighborhood away from where Jax and Devorah live in the book, so the diversity really just reflects my community. Park Slope is very gentrified now (and, by way of a possibly obvious disclaimer, as a white person who moved here in the late 80s, I’m part of that), but my world growing up was not. My elementary school was mostly black and Hispanic, and as a result so were my friends and neighbors. It wasn’t something I had to consciously think about; it was just what I saw. I don’t know if this counts as YA, but in high school I fell in love with THE HOUSE ON MANGO STREET by Sandra Cisneros. Definitely Jacqueline Woodson’s IF YOU COME SOFTLY, which I read a decade ago and which has always stayed with me. Jason Reynold’s WHEN I WAS THE GREATEST. I also recently read and loved Nina LaCour’s EVERYTHING LEADS TO YOU, about a lesbian romance. If I’m being honest, I think every possible area of diversity is underrepresented, but I’m focusing on racial and religious diversity in this book. 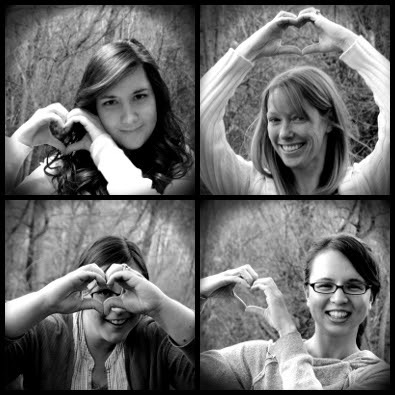 I think the world needs more characters across all races, ethnicities, sexual orientations and gender identities. I don’t think we should shy away from religion, either, especially given what’s been going on lately, with certain fundamentalist beliefs affecting reproductive rights and challenging gay marriage. It’s always shocking to me how few modern books are written about diverse characters and real, pressing societal issues. But I hope — and believe — that’s starting to change. 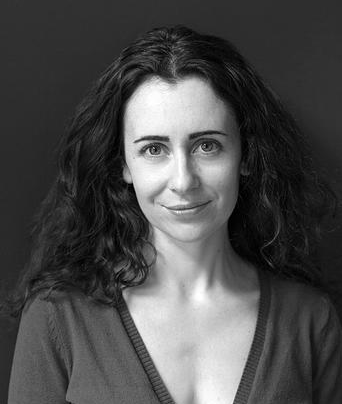 Thanks so much to Una for taking the time to answer our questions, and for writing such a rich and diverse story! Love this Q&A! I also want to see more books that focus on religious diversity- that is an underrepresented area. The book read very authentic to me though going into the book I didn't know a lot about the Hasidic faith. Sounds like the Footsteps organization was very helpful. Great book recs too- Everything Leads to You is fab.